At Jewish Humor Central, last month we started posting a nostalgic video clip from a very old TV show or movie that brings back happy memories. Now that Passover is behind us, we're returning to this weekly feature with an old clip of Woody Allen early in his career when he spent a lot of time doing standup comedy. In the early 1960s, before he started down the road of producing, directing, and acting in 65 films, Allen began performing as a stand-up comic, emphasizing monologues rather than traditional jokes. As a comic, he developed the persona of an insecure, intellectual, fretful nebbish, which he maintains is quite different from his real-life personality. In 2004, Comedy Central ranked Allen in fourth place on a list of the 100 greatest stand-up comics, while a UK survey ranked Allen as the third greatest comedian. 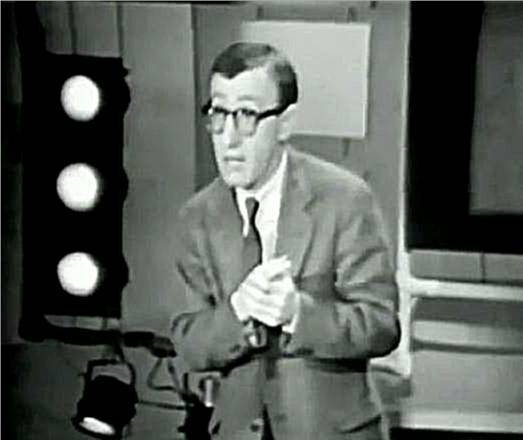 For this Throwback Thursday, let's turn the calendar back to 1964 and see Woody in a standup routine talking about his experiences surviving on Manhattan's Upper East Side. With all of the accusations thrown against him over the years, I'm afraid I can't find him funny anymore. Maybe he should team up with Bill Cosby.